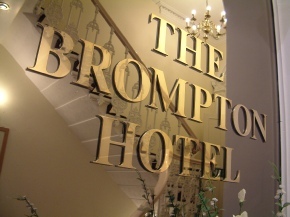 The Brompton Hotel is located in the heart of South Kensington, London's most favourite residential area within the Royal Borough of Kensington and Chelsea. 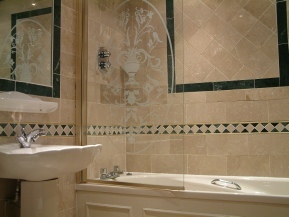 Nearby are the quiet and beautiful Kensington Gardens and the Royal Albert Hall. A short walk away is the Victoria & Albert, National History and Science museums, together with Knightsbridge and its elegant stores including the world renowned Harrods. 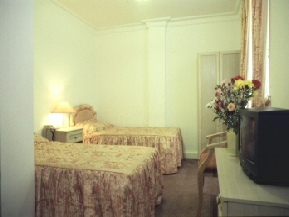 Other near by attractions include Earls Court & Olympia exhibition centres. South Kensington Underground Station is less than a minutes walk from the hotel, providing convenient and reliable access to the entirety of London and beyond. However brief or long your stay, whether business or pleasure, The Brompton Hotel's central location is ideal for sight-seeing, shopping and travel around London.